Located in the heart land of Ayurveda – Kerala, ASOKA Group has been involved in providing authentic ayurvedic health care since 1915. We manufacture 50 proprietary medicines and over 550 generic ayurvedic medicines. All products are manufactured from our GMP certified manufacturing plant at Kannur. We also provide Panchakarma and ayurvedic treatments at Asokam Ayurvedic Beach Resort. ASOKA-The leading manufacturer exporter of Ayurvedic medicine the traditional medicine of India situated at Kerala. Ayurveda the 6000 year old science of life originated from the sages. Ayur means life and veda the science. Ayurveda follows the tridosha concept. Ayurvedic medicines are also called herbal medicines. In Ayurvedic medicines raw materials are from plant, minerals and animal sources. World Health Organization (WHO) has accepted Ayurvedic medicines as an alternative medicine. Panchakarma is an elimination therapy using Ayurvedic medicines. Pamchakarma means five treatments (pancha means five and karma means treatment). 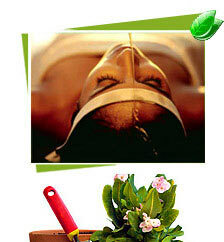 Along with it Kerala Ayurveda treatments such as abhyangam, navarakkizhi, shirodhara, nassyam etc are carried out. Ayurvedic diet is important during Panchakarma treatment. Treatment Gallery | About Kannur | PRICE LIST | .